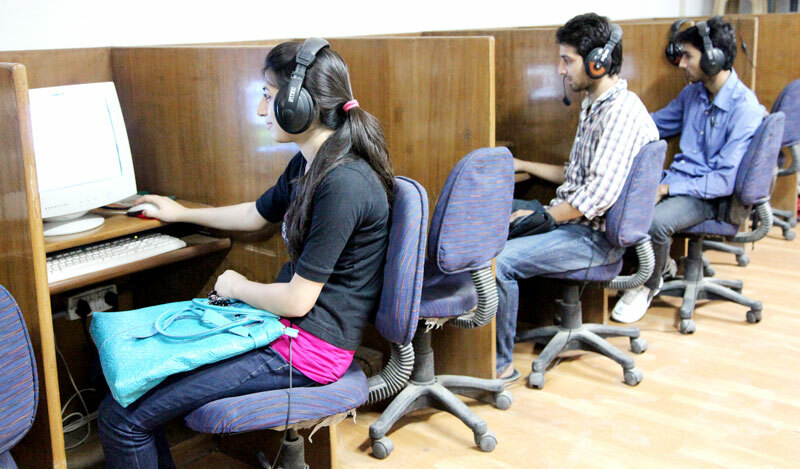 The Computer Centre is fully air-conditioned and equipped with the latest computer systems to encourage the students to make full use of the facility to train themselves in modern computer applications and software applications and development. In addition, the students are provided practical experience in hardware technology through working on several computers and peripherals. A variety of special purpose peripheral devices like Scanner, Laser Printers, InkJet Printers and CCD Camera are also available to the interested users. The Institute has internet facility to share information with all the Universities and Research Centers around the world. ♦ Operating System: Windows 7,Vista, XP, Linux , MS Server 2000/03. ♦ Programming Tools & IDE’s: Turbo C++, MS Visual Studio, MS Visual Studio .Net 05, Dreamweaver, Netbeans. ♦ Office tools: MS Office XP, MS Office 10. ♦ The College is a WiFi enabled campus. The students are required to register to use the internet connection. Presently Computer Center has the following equipment. ISP Bandwidth from Bharti Airtel 6 Mbps, BSNL 4 Mbps. Base station radios, routers for Wi-Fi based campus-wide network.